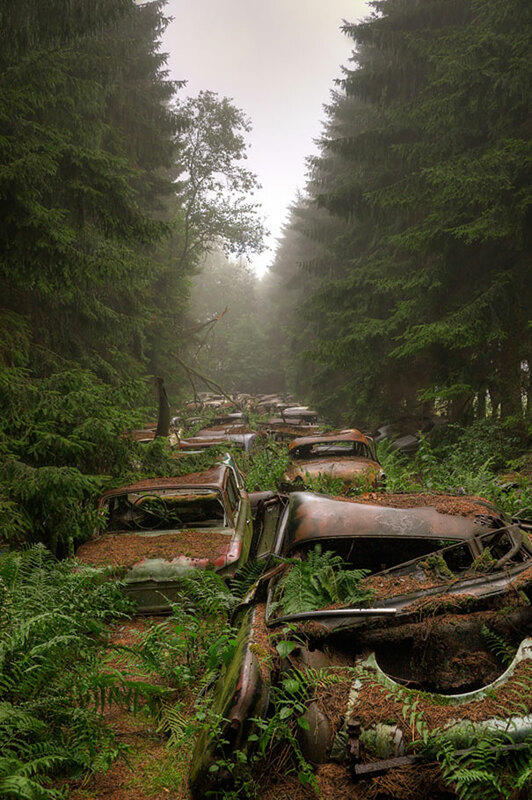 How Can There Be A Traffic Jam In The Forest? 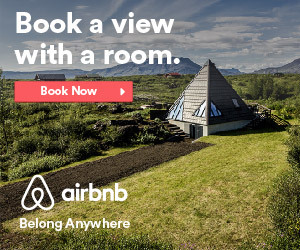 Well, Click And You Will See The Insanity. 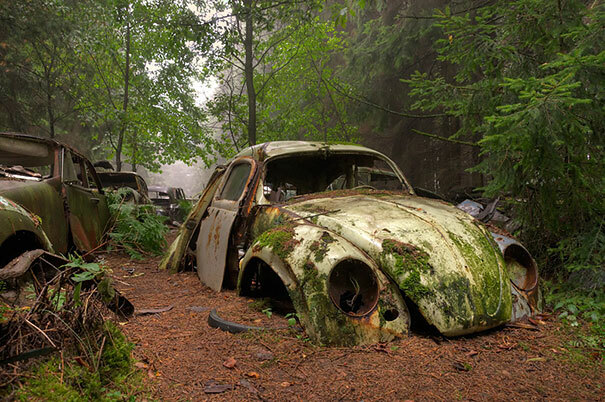 Share the post "How Can There Be A Traffic Jam In The Forest? 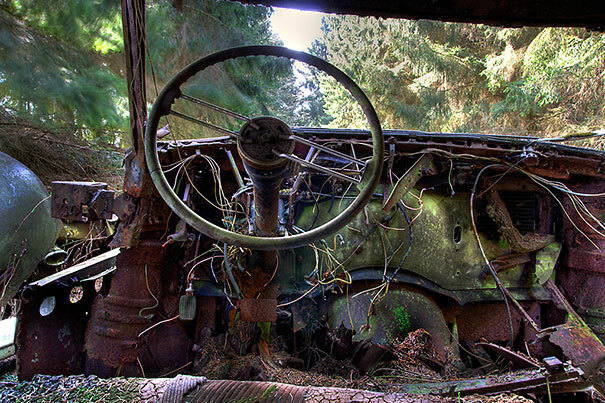 Well, Click And You Will See The Insanity." 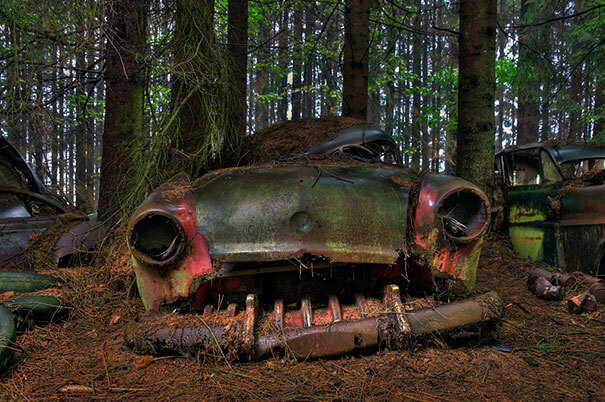 These spooky apocalyptic images are not a scene from “Walking Dead”, they were actually taken at one of the biggest car cemeteries in the world – the Chatillion Car Graveyard, Belgium. 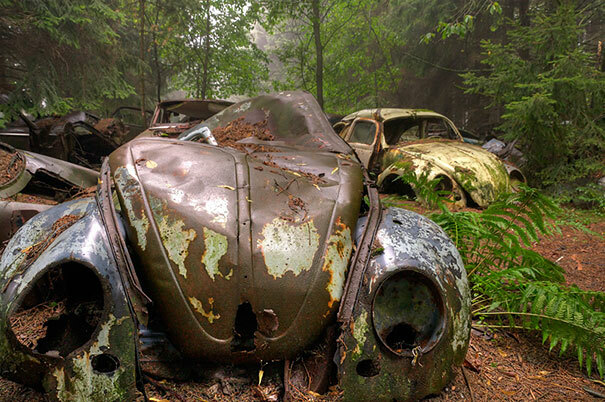 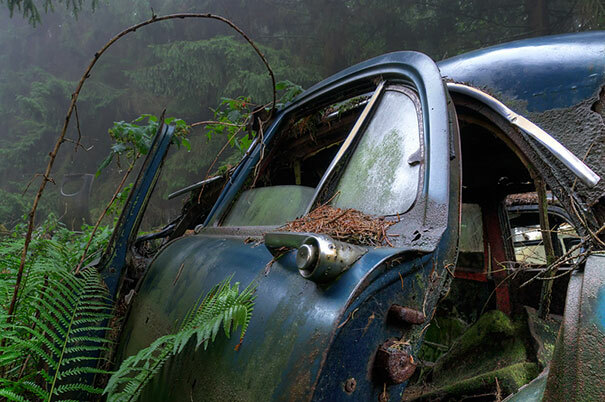 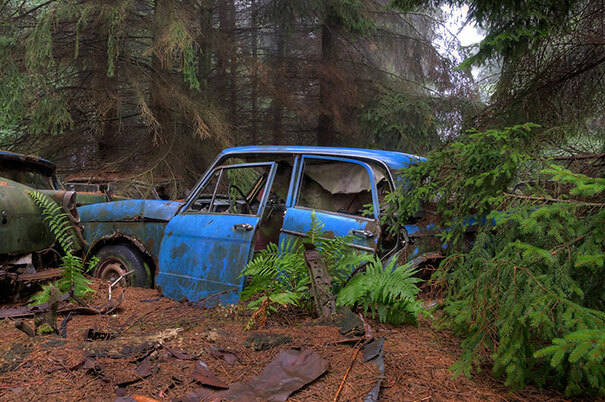 According to an urban legend these cars were left behind by US soldiers from World War II, who could not ship them back to the US so they decided to hide them in a forest until they could come back and retrieve them. 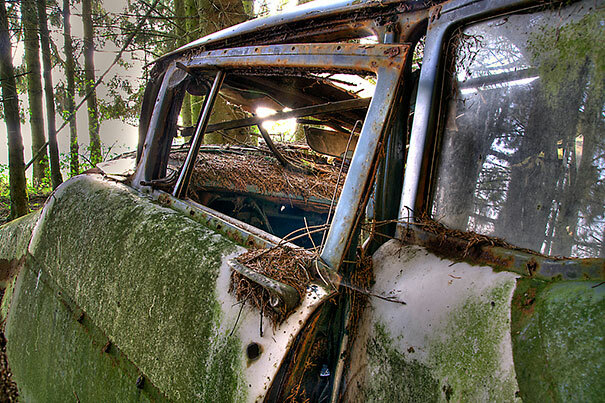 The locals disagree and say that it’s simply an old car dump of vehicles made after the WWII. 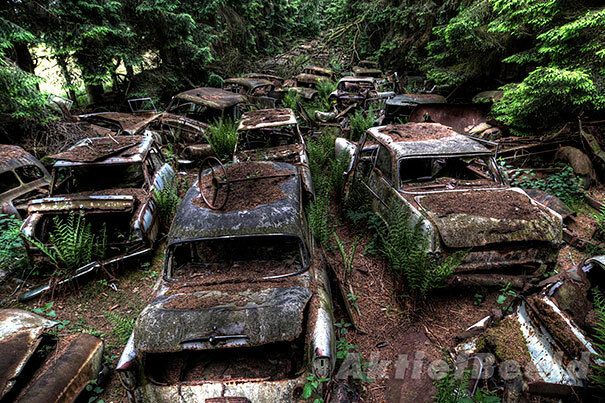 At one point there were four car graveyards in Chatillon with as many as 500 retro vehicles. 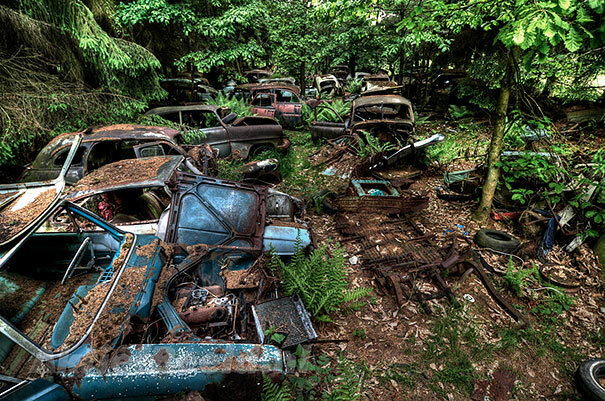 Unfortunately, most of the cars were stolen or removed by the locals and due to environmental issues the whole graveyards was cleared in 2010.